Head of the Department [HOD] in Engineering Colleges – 2.6 years. 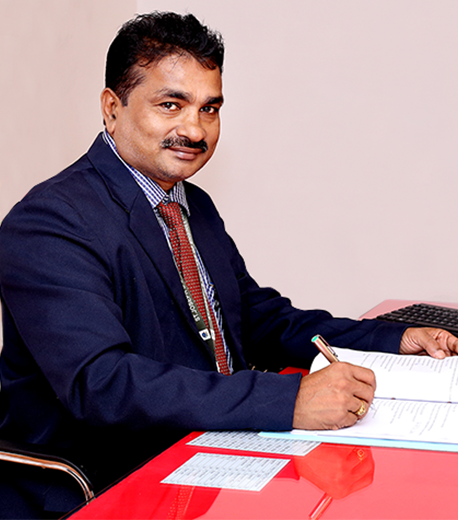 Head of the Institution [HOI/PRINCIPAL] in NBA and NAAC [A Grade] Accredited Engineering Colleges affiliated to Anna University – 14 Years Contineously. NBA and NACC Engineering Colleges and ABET Accredited University as Professor – 15 Years. Experience in Software: AUTOCAD, GAMBIT, SOLIDWORKS and ANSYS-FLUENT. Lecture on “Applied Thermodynamics” for UG/PG students of Mechanical, Electrical & Electronics/Electronics & Instrumentation Engineering. Lecture on “Motivation towards Research & Development” for Faculties and Students. Lecture on CFD and Heat Transfer Engineering for PG/Ph.D. Scholars.